and a relationship that is more than just vendor and client. As busy as acute-care bed facilities are, this service requires that they are staffed with capable, responsible nurses to serve their patients. Acute Quality Staffing was able to address these needs by providing quality personnel at all levels in order to enhance and build client satisfaction for the last ten years. Read what these facilities had to say. I’ve had the pleasure of working with AQS for a few years now and they truly have earned our business and respect because they have stayed consistent and go the extra mile. They have become our “go to” agency for every need we have around the clock. I would highly recommend them and their staff for any staffing need without a doubt. 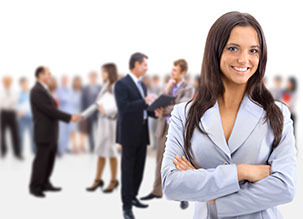 Acute Quality Staffing, Inc. has a great individualized understanding of our staffing needs. They are up to the challenge, no matter how complicated the situation. I appreciate partnering with an agency that’s always on call to send us qualified staff because of the nature of our patients. They know their nurses and their flexibility. I am 100% happy with this career opportunity, Acute Quality Staffing is very proactive taking me into a variety of hospitals, having the opportunity to be exposed to new experiences and great people. The instant daily pay is an excellent benefit for me. My experience with Acute has been overall excellent, they provided me with excellent pay and the opportunity to travel into several cities. I love this job because of the flexibility to work when and where I need it, enjoying a great benefit package. Thank you Maria and Victoria.